We understand why you want to invest. Whilst we can’t control the markets, we’ll do whatever we can to make sure you profit from your Global Investing. We want to be your partner in global investing. Simply being an adviser is not good enough for us. We want you to become an advocate of global investing and Capital 19. Successful investing can’t be learnt from a single lesson, as it’s a continually evolving science. We’re always discovering new tactics and opportunities and whatever we learn we’ll share with you. Our Managing Director, Matthew Jones, is an expert investor who is dedicated to changing the way people approach investing. He has spent 20 years working in financial services in various areas, from advising corporations on FX hedging strategies to helping investors buy their first stock. These days Matthew spends most of his time educating clients of Capital 19 in the correct way to trade financial markets and empowering individuals to take control of their investments. Matthew is licensed to give advice in Securities, Options, Futures, Foreign Exchange and Margin Lending. A dedicated investor with extensive experience in derivatives trading, Director Gregory Rynehart is driven to extract profits from financial markets. 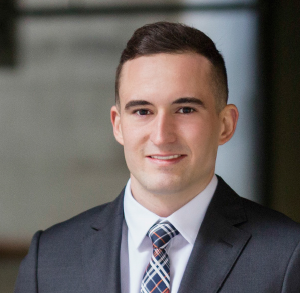 Possessing an innate understanding of the needs of investors, Gregory is skilled in fostering strong and long-lasting relationships with his clients. His analytical mindset and strategic outlook, combined with his extensive professional qualifications – including a Bachelor of Commerce from the University of Wollongong – enables him to identify astute investment opportunities and deliver above-market returns. Greg is a level 2 ASX Accredited Derivatives Advisor and is licensed to give advice in Securities, Futures, Options, Foreign Exchange and Margin Lending. A confident and considered investor with a particular focus on risk management, Senior Investment Advisor Michael Smith is committed to building strong relationships with his clients. 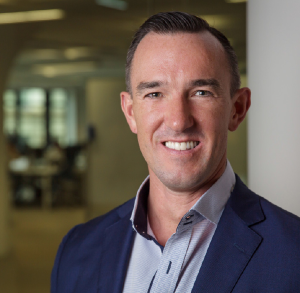 With around 10 years’ experience, including as a Market Risk Analyst at the Commonwealth Bank of Australia, Michael believes in coaching clients to understand the intelligence of a ‘steady-as-you-go’ strategy, rather than chasing unrealistic ‘big dream’ returns. Michael is our in-house ETF expert and considers these products perfect for investing with a macro view. Michael is licensed to give advice in Securities, Futures, Options, Foreign Exchange and Margin Lending. With expert knowledge of global markets, Senior Investment Advisor Paul Levett is a passionate and dedicated investor who is committed to providing our clients with superior service. 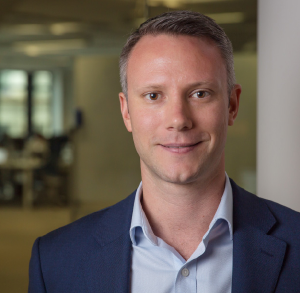 An experienced stock and derivatives trader with specialist skill in US markets, Paul draws on his experience at American Express, Citibank and HSBC to uncover opportunities in the less researched sectors. He is especially strong on stocks, trading techniques and trading platform issues. Jacob has been with Capital 19 for eight years and has filled various roles for us in that time. He uses his broad experience and investment knowledge to support our clients in every aspect of their international investing. A troubleshooting expert, if you have any questions about how international investing operates, Jacob is the man to give you the answers. Jacob is licensed to give advice in Securities, Futures and Options. Senior Investment Advisor Luke Neal joins us from a background in US Chicago based managed futures and institutional trading. He has over 10 years of professional trading experience and draws on his background to provide a unique approach to investing. Luke specialises in providing long term solutions for wholesale investors and is driven to build trusted relationships through excellence in advice and service. Luke enjoys the constantly evolving landscape of the global markets and the challenge of identifying and capitalising on the best opportunities for his clients. He is an accredited Investment Advisor in Australia and is licensed in Securities, Futures, Options and Foreign Exchange. Investment Advisor Afiq Malek is an astute investor who is committed to delivering the best possible returns, irrespective of the challenges at hand. A strategic thinker with a positive mindset, Afiq is particularly skilled in trading the US market. Keenly aware of the changing nature of financial markets, he is always on top of world news and adapts his thinking and strategic approach accordingly. Driven by a pursuit of excellence, Afiq understands that every client is unique and enjoys watching client portfolios grow in an environment where no two days are the same. Afiq is licensed to provide advice in Securities, Futures and Options. Driven by the desire to increase returns, Investment Advisor James Rattue takes an analytical and meticulous approach to providing investment advice. 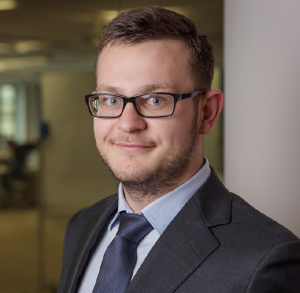 With a motivated outlook and strong knowledge of global financial markets, James is dedicated to meeting client needs by utilising his skills in market analysis and trading. Possessing a Bachelor of Economics and a Bachelor of Arts from the University of NSW, James draws on his acumen for analysing complex data and deploying multimedia to trade and teach confidently in equity, index and futures options in US markets. James is licensed to provide advice in Securities, Futures and Options. With a passion for the financial markets, Investment Advisor Mark Baruzzi is dedicated to achieving exceptional returns. Mark is an experienced investor with specialist skills in money management and derivatives, developed with organisations such as BHP and Ord Minett. He focuses on creating value whilst always keeping a keen eye on downside risks. With extensive professional qualifications, including a Bachelor of Finance and Masters in Commerce – Mark has a knack for explaining financial products and scenarios simply and effectively. He advises clients on a range of topics including US and Aussie stocks and options, macro-economic risks and derivative structures. Mark enjoys the variability of the financial markets and with his thoughtful nature and well-rounded investment skills, he is committed to making solid returns, irrespective of market direction. Mark is licensed to provide advice in Securities, Futures, Options and Foreign Exchange.